Whether you're looking to customize, modify, upgrade, repair or replace, Yates Automotive's experienced team will take the time to meet with you to discuss your needs and provide advice and guidance to get your car looking and performing the way you want. We have experience in a broad range of customization work. Don't see what you're looking for below? Give us a call at 703-683-5300 and let us know how we can help! Hate freezing in a cold car waiting for it to warm up in the winter or sweating in your seat waiting for the A/C to kick-in in the summer? Have one of our experienced technicians install a remote car starter today! With a push of a button, you can start your car’s engine from the comfort of the indoors. A remote car starter isn’t only a convenience, it also serves a practical function. By allowing your engine to warm up before driving, you’ll avoid damaging wear and tear that may cause irreparable damage to your car's engine. A simple push of the button on your remote starter is all it takes to save yourself a great deal of discomfort, inconvenience, and costly repairs in the long run. Ready to be more comfortable, save time, and protect your car’s engine? Have our experienced technicians install a remote car starter today! Call us for a quote and to make an appointment or you can request a quote online or an appointment online! Parking in Alexandria and anywhere in the DC area can be tight sometimes. Those with backup cameras and backup sensors wonder how they ever lived without them. Have our experienced technicians install a rear view camera or backup sensors and park with confidence - and without accidents! 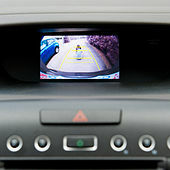 Call us for a backup camera installation quote or you can request a quote! For some, factory audio systems can be insufficient. 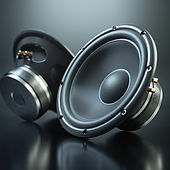 However, they are complex and car stereo upgrades should be done with care by a trained professional. From In-Dash Car Stereos, Bluetooth car sterteos, satellite radios, speakers and subwoofer, we have the experience and can provide the best guidance on aftermarket equipment to make your new sound system not only sound great, but look great too. Stop by or give us a call today and let’s discuss what you’re looking for in a mobile audio system! 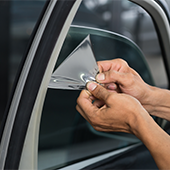 Whether you’re looking to tint your car windows for safety reasons, protection from the sun’s harmful UV rays, or just because you like the way it looks, our technicians can provide advice and experienced installation. Give us a call or go online for a car window tint installation estimate or to request an installation appointment. You can learn more about the automotive window tinting laws in Alexandria at the VA DMV website. Love your car, but hate the window tinting? Want to make sure your tinting is “street legal”? Leave the tiresome job of your car window tint removal to us! We have the proper equipment to perform a clean, flawless window tint removal. 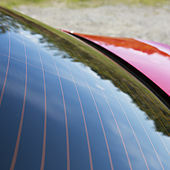 You can learn more about the window tinting laws in Alexandria at the VA DMV website. 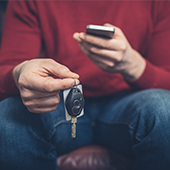 If you are unlucky enough to be the victim of a car break-in or car theft, you know how inconvenient and unsettling it can be. 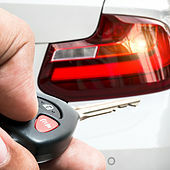 Protect your vehicle and the valuables inside it whether you’re at home in Alexandria, parked in DC or traveling across the country, with a reliable alarm system. In addition to ensuring your peace of mind, you may even enjoy lower insurance rates! Give us a call today to discuss the various car alarm installation and security system options. Whether you’re looking to do some off-roading or just like the look of a lifted rig, our experienced mechanics can ensure your lift kit is installed correctly. Call us today to schedule a complimentary Lift Kit Consultation. 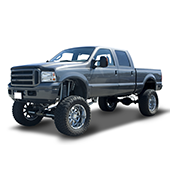 One of our experts will help you identify the right lift kit for your needs and vehicle type (body lift kit, leveling kit, or suspension lift kit), help you select tires and wheels to compliment your new lifted ride, and provide you with an estimate. We want to make sure we answer all of your questions so that you can make an informed decision. Rims looking rough from a recent run-in with a curb? 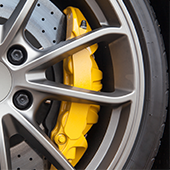 From rim straightening to rim repair due to curb damage or corrosion, Yates Automotive has you covered. We can repair dented or bent wheels and straighten or true wheels back to original factory specs to ensure they hold air, are properly balanced and look good!